Optimal for high-drain devicesUsing an innovational positive protection circuit and its positions on.. The i3E is an extremely compact flashlight with a maximum 120-lumen output (silver only, 90 lumens f.. 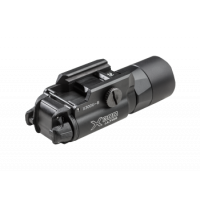 The M1X Striker is a dual-switch tactical LED flashlight featuring a high intensity output with a co.. The Omni-Dok is an intelligent, two-bay charging system designed to safely charge the most common re.. The PL-2 Valkyrie is the brightest compact weapon light on the market using a CREE XHP35 HI Led deli.. The R50 PRO Seeker is a high-output, rechargeable side-switch LED flashlight that utilizes Olights s.. The S1A Baton is an all new LED flashlight powered by a convenient single AA battery. The S1A is the.. The S1R baton (S1R) is a side-switch, rechargeable EDC flashlight, powered by one RCR123 rechargeabl.. The Everyday Carry Light 2, an upgraded version of our popular EB2 Backup®. Otherwise it’s all about.. The G2X Pro is a dual-output version that features the same lightweight, ergonomically shaped body. .. 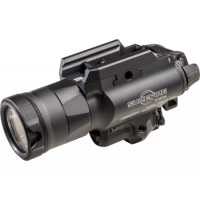 This newly enhanced version of our best-selling SureFire X300 Ultra now delivers a stunning 1,000 lu.. 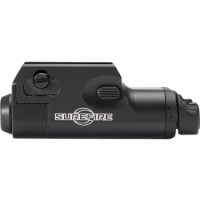 The X400UH-A-RD was created to interface with SureFire’s revolutionary MasterFire® Rapid Deploy Hols..
SureFire’s smallest and lightest weight WeaponLight has been upgraded to deliver more output and fea..